Although we love a good joke as much as anyone else, our purpose here today is to reveal the truth about modern root canal therapy: it doesn’t hurt. In fact, at the practice of Charles A. Porter III, D.D.S., in Charlotte, root canal therapy is a comfortable procedure that actually alleviates far more pain than it causes. That has actually always been the case with root canal therapy, but in modern times, it has developed into one of the safest, most pain-free surgeries a person can undergo. Contrary to what many believe, a root canal is not a procedure, but rather an anatomical structure. Between one and four root canals are located in each tooth. The root canal is a chamber that contains a pulp comprised of nerves, blood vessels, and connective tissues. This dental pulp is essential to the health of the tooth, as it contains vital nutrients. When the pulp becomes infected or otherwise damaged, the result is usually pain and the decomposition of the tooth. If not treated, the tooth will eventually die. Root canal therapy involves the removal of the damaged pulp and subsequent cleaning of the root canal. The tooth is then sealed with a filling or natural-looking, custom-crafted dental crown. Ultimately, root canal therapy eliminates pain and allows as much of the natural tooth’s structure as possible to be preserved, which is always preferable to extraction. Especially when performed by an experienced dentist with the gentle hands of Dr. Porter, root canal therapy offers a wealth of benefits with very few potential risks. 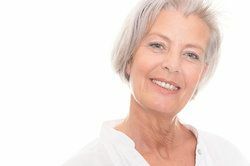 Even so, patients who are anxious about undergoing the procedure are welcome to take advantage of the option of sedation dentistry, which allows them to drift through a state of deep relaxation, oblivious to the work that’s being done on their mouths. Even the most anxious of patients can benefit from the treatment they so desperately need without experiencing any of the sights, sounds, and smells commonly associated with the dental experience. If you are experiencing tooth pain, don’t wait another minute to seek help. At the practice of Charles A. Porter III, D.D.S., we can relieve your pain and restore your oral health. To learn more about root canal therapy or schedule your appointment at our cosmetic, restorative, and general dentistry practice, please contact our office today.